The net neutrality era will come to an end on April 25, 2018, ushering in a new reality in which internet service providers (ISPs) can restrict or slow down your access to any website they please. If this sounds pretty bad, well, it is. But fortunately for internet users, when the government fails to protect our rights, we can rely on someone else to protect our internet speed and privacy – Virtual Private Networks, or VPNs. Net neutrality is a principle that ISPs must treat all internet data equally and not discriminate between users or websites. For example, they must not intentionally restrict, slow down or charge money for access to specific websites or online content. The United States Federal Communications Commission ruled in favor of net neutrality in 2015, by classifying broadband as a common carrier under the applicable communications laws. But with the arrival of Trump designee Ajit Pai as chairman last year, the FCC reversed its decision on net neutrality and deemed that as of April 25, 2018, ISPs (such as AT&T, Comcast, and Verizon) would not be prohibited from discriminating between different websites or online content. Some states are working to restore net neutrality in one form or another. The governors of New York, New Jersey, Montana, and Vermont have all issued executive orders requiring that state agencies only sign contracts for internet access with companies that commit to abide by net neutrality within their states. And at least 24 states are suing the FCC. However well-meaning these initiatives, it is difficult to see them offering any meaningful protections to consumers. The repeal of net neutrality will likely have several negative consequences for internet users, from the more obvious things like slower websites, to the less obvious like higher costs. Netflix’s response is very illuminating when it comes to predicting what will happen post-April 25. The popular video streaming company was a very outspoken supporter of net neutrality a few years ago, but as the FCC voted to repeal net neutrality, Netflix suddenly changed its tune. What this tells us is that big companies like Netflix, Facebook, and Google will be able to afford to pay ISPs like Comcast, AT&T, and Verizon for preferable treatment. From the point of view of consumers, this could mean slower access to the many smaller websites, streaming services, and apps that can’t afford to pay the ISPs for lightning-fast speeds. Another potential consequence is that Netflix and the other big internet companies might pass the cost of doing business with ISPs on to the consumer – making their services more expensive. How Can a VPN Help Combat the End of Net Neutrality? A VPN can’t change what streaming services will charge you, but it can certainly help maintain the types of internet speeds you’ve enjoyed until now. VPNs hide your browsing activity from your ISP, meaning that as long as your VPN respects net neutrality – all the websites and content you access will be treated equally, no matter how badly your ISP would want it to be otherwise. Of course, there is a risk that ISPs could one day decide to slow down specific VPNs, but they would need to do this to all traffic over the VPN – and not just to specific websites that internet users access through that VPN. Therefore, the likelihood of this sort of thing happening is very low, at least in the short-term. The other major benefit of a VPN is that it prevents anyone – including your ISP – from snooping on your browsing activity. Although net neutrality laws didn’t include privacy protections, the repeal of net neutrality signals that the winds are shifting in favor of ISPs and against consumers – and therefore it’s more important than ever to take measures to stop your ISP, the government, or anyone else, from snooping on you. The following are 5 top VPN providers that can help protect your internet speed and privacy after the repeal of net neutrality on April 25. ExpressVPN​ is one of the most popular VPNs, with more than 2,000 servers located in 148 cities in 94 countries. One of its biggest selling points is the smart locations feature, which automatically chooses the fastest server possible from your location. Of course, users may also select location manually. ExpressVPN runs on the OpenVPN security protocol and boasts unlimited bandwidth and 99.99% uptime. NordVPN​ is an experienced provider, offering one of the largest selections of servers in the world – more than 3,200 in 60 countries at last count. Another standout feature is that it can be run simultaneously on up to 6 devices, which is useful if you want to protect your net neutrality on your computer, tablet and phone – all at the same time. PrivateVPN​ is a growing VPN provider that has 100 servers in 56 countries around the world. Although it has fewer servers than some of its competitors, it makes up for this by the fact it offers lightning quick speeds for streaming media content. In an era where ISPs could potentially slow down certain websites and online content, consumers will undoubtedly look to providers like PrivateVPN that can promise great speeds for all sites. ZenMate​ makes fast internet speeds a priority, with 3,000+ optimized servers from 30 different countries. An additional benefit to ZenMate is that it is based in Germany, where net neutrality is still respected. Furthermore, according to German law, it is actually forbidden from storing its customers’ personal information and IP addresses – so you’re protected on multiple fronts. CyberGhost​ offers an easy-to-use service with 6 one-click settings. “Surf Anonymously” starts your VPN session, and includes the option of connecting automatically to the fastest server. “Unblocking Streaming” is for unblocking content from popular streaming services. “Protect Wi-Fi” is for use with a new or public WiFi connection. “Torrent Anonymously” launches your preferred torrent client and a secure VPN connection. “Unblock Basic Websites” is for people who live in countries that restrict access to certain websites. “Choose my VPN Server” is for advanced users who want to choose their own server. In short, this is another solid VPN option in the post-net neutrality era. 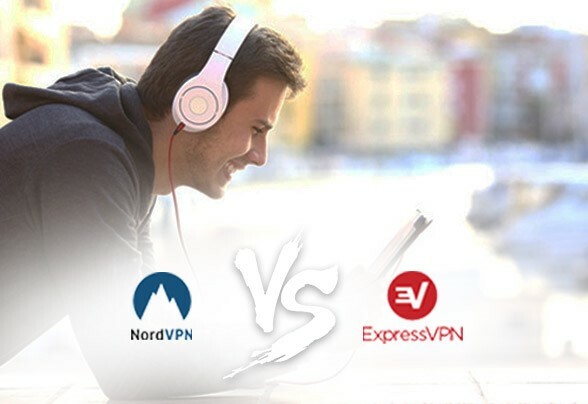 See our comparison of the leading VPN services for more information.